Having completed over a thousand successful Raleigh bathroom remodels since the opening of our Triangle area office in 2001, Luxury Bath of Raleigh knows how to get things done right. We are a proud, top-quality provider of comprehensive bathroom remodeling solutions in the community. No matter if you're looking for a simple bathtub refinishing service or a full overhaul of your old and unsightly master bath, you can depend on our expert remodelers to find the solution for you. For your upcoming bathroom remodel in Raleigh, choose the designers and fabricators that create custom services that are tailored to your needs and budget. As a member of the National Kitchen and Bath Association, our bathroom remodeling experts stay apprised of even the most minor developments in the industry. 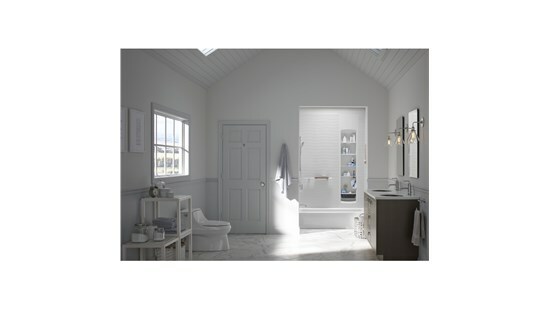 This ensures you get a bathroom remodel in Raleigh that is of the highest standard. To further give you confidence in our services, we even offer a lifetime warranty on our products. If you're ready to transform your home with a new bathroom, contact our bathroom remodelers today at Luxury Bath of Raleigh. Call us to schedule your free design consultation or fill out our online form to get your free, in-home estimate today!